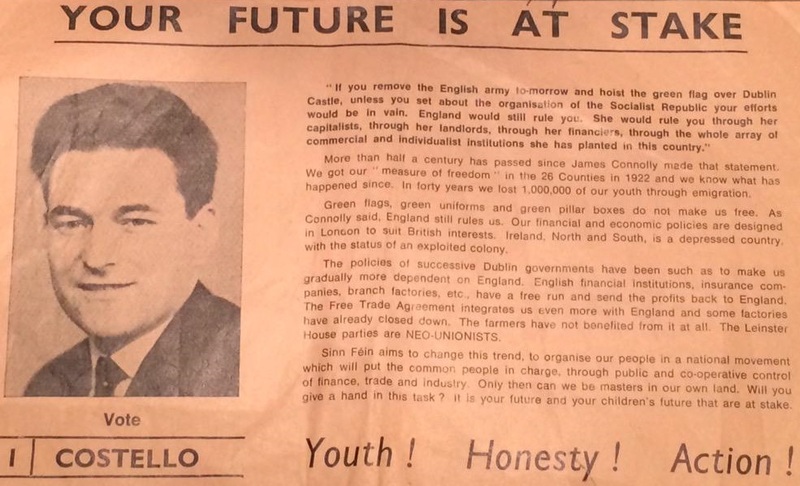 From the 1973 General Election a leaflet from Séamus Costello running for Official Sinn Fein in Wicklow. He polled 1,966 votes and missed out on a seat. Many thanks to the sender.